Scrape any web data - Never blocked, never cloaked. Learn to scrape like a professional. Understand the web data mining environment along with common blocking techniques and how to overcome them. Luminati (http://luminati.io) is the world's largest network of Residential IPs that enables viewing the web as is seen by real consumers across the globe. 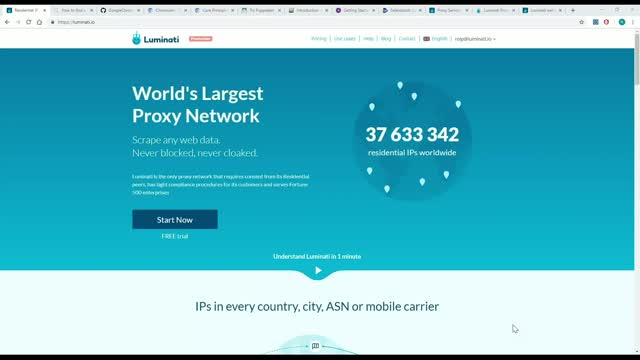 Serving fortune 500 companies, Luminati is the only proxy network that works hard at being fully compliant resulting in a high-quality, high integrity network.